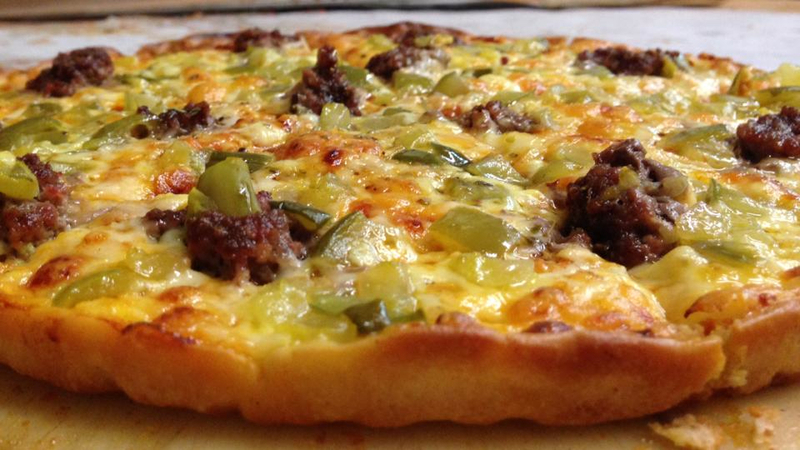 Cheeseburger pizza with ketchup, mustard, pickles , and ground beef from Spencer's Pizza in Abington MA. (photo credit: Spencer's Pizza Facebook fan page. The best pizza is the one you like the most. Objectivity might as well be thrown out the window when it comes to discussing who makes the best pizza. Unlike most of us, taste buds have no brain and no form of reasoning. Most people will agree, however, on the old adage "When pizza is great, it's great, and when it's bad, it's still pretty good" -- unless anyone can remember the vendor in the 1980s at Salisbury Beach, MA, slapping two pieces of bread on American cheese, baking it, and calling it pizza. 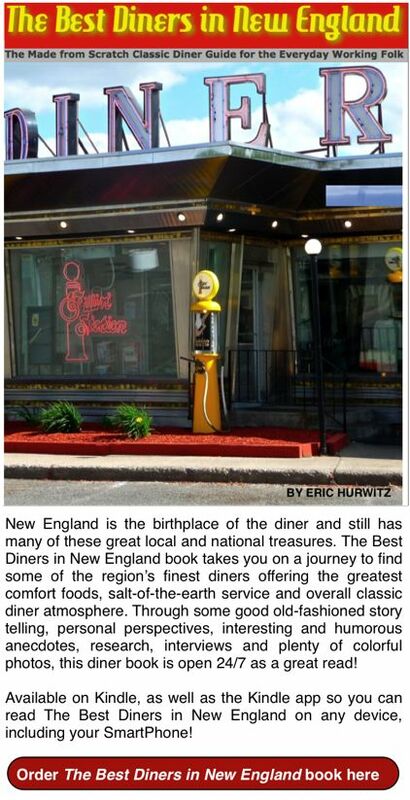 Photo below: Prince Pizzeria, Saugus, MA. 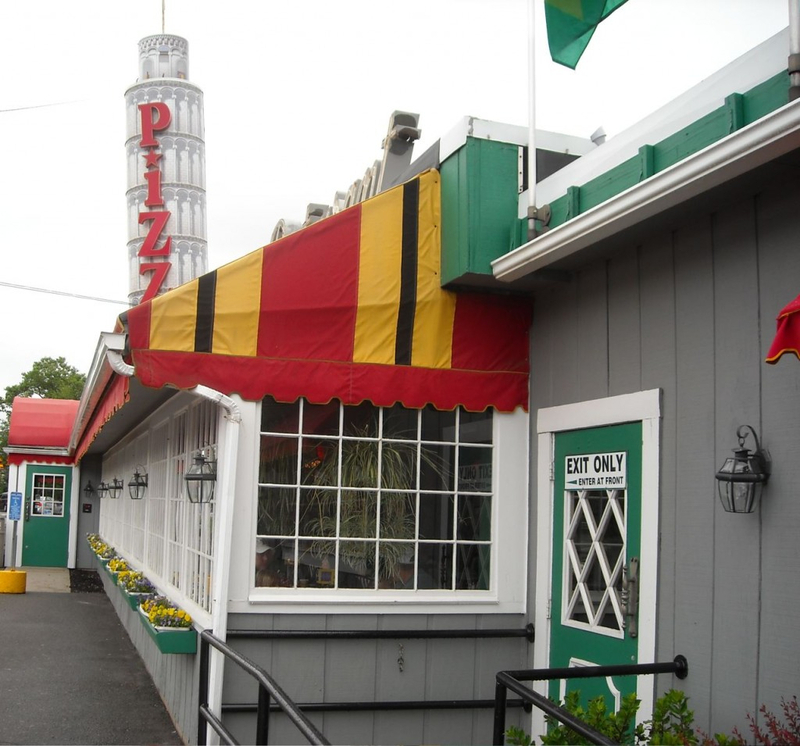 The Chateau , Waltham, MA -- This huge, crowded restaurant with several rooms colored definitely remembers its more humble beginnings during the Depression era by continuing to turn out well made Italian-style pizza. The eggplant topping is excellent. 195 School St., Waltham, MA. Tel. (781) 894-3339. Photo: New London Style Pizza, Concord MA. 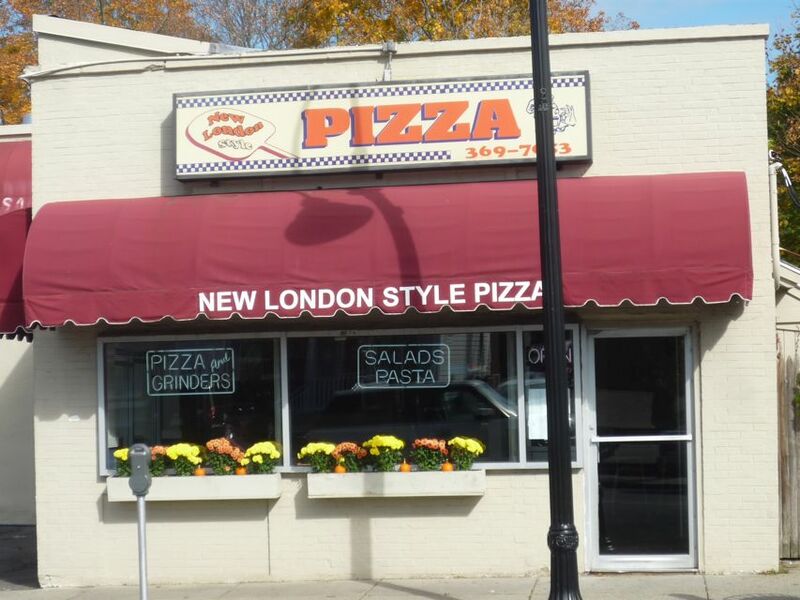 New London Style Pizza, Concord, MA -- New London's Greek style pizza is addictive. It's greasy without being too greasy and has a most compatible marriage of flavorful cheese,tomato, ample toppings and thick crust. It's a fact that people eat New London pizza really fast because they don't want to spend a second not tasting the memorable pizza. The best combination is hamburg and green pepper. New London has a small, clean dining room overlooking the attractive Concord Depot train station. 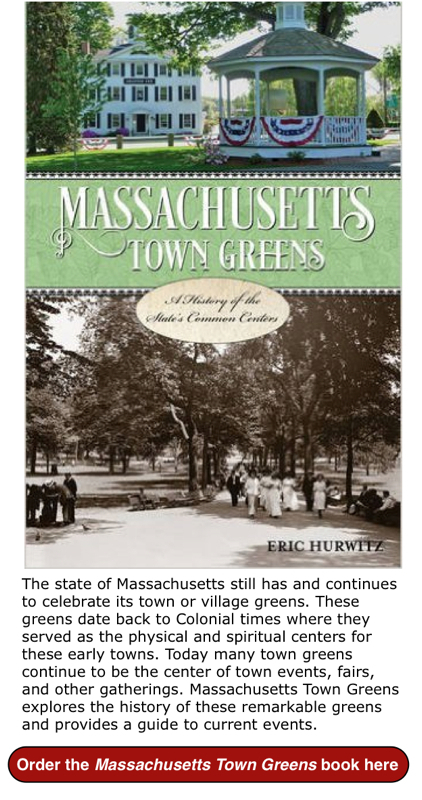 On a side note, we once saw historian Doris Kearns Goodwin take out some pizza from New London. 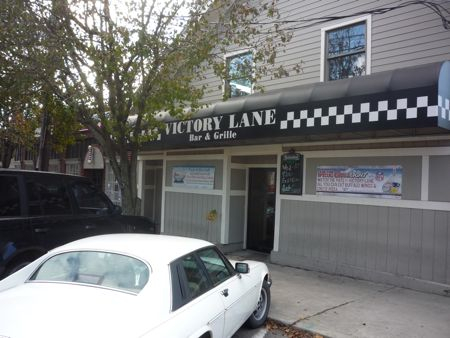 Maybe New London's legendary pizzas will make its way into one of her history books. 71 Thoreau Street, Concord, MA 01742, Tel. (978) 369-7053. Jimmy's Pizzeria, Walpole, MA -- Great Greek-style pizza, including some amazing gourmet versions, highlight this spotless, friendly, appealing small restaurant in pleasant East Walpole. There's always a smile, quick service and steady business. The circular dining room with nice overhead lights and big windows offer a nice alternative to the typical house of pizza setting. 4 East St., Walpole. Tel. (508) 660-6700. Photo: Victory Lane, Millis MA.